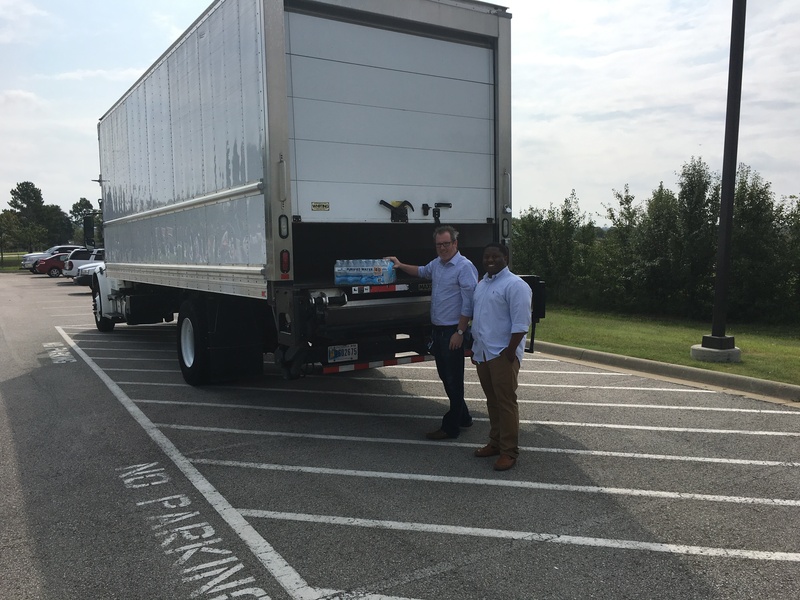 Ritter's Kyle Keith and Darrious Duffin will drive a truck to East Texas Saturday to deliver bottled water to help those impacted by the floods. Ritter Communications is collecting bottled water at its Jonesboro office (2400 Ritter Drive) today which the company will deliver to Beaumont, Texas this weekend. Individuals who are interested in contributing may drop off cases of water at Ritter’s loading dock (located on the south side of the building) by 5 p.m. Friday. Beaumont, a city of 100,000 people located 80 miles west of Houston, is in desperate need for clean water after the city’s municipal water pumps failed earlier this week due to flooding in the area. Ritter rented a box truck that will leave Jonesboro Saturday morning to deliver the water to East Texas. Individually-bottled 24-packs water are ideal for donation. For more information, please contact the Ritter Communications marketing team at 870-336-3415. Tubetown, the local content and coverage channel of Ritter Communications, airs live and pre-recorded high school sports, as well as local events, parades, charities and pageants. Tubetown was established in 2008 and reaches over 14,500 Ritter TV subscribers in Arkansas, Tennessee and Missouri. Tubetown airs on channel 11 in west Tennessee and channel 21 northeast Arkansas/Missouri. Visit Tubetownonline.com on the web and receive programming updates via our Twitter account,@Tubetown. Like our Facebook page at facebook.com/tubetownonline.